The "Hamburg" had to skip its call at Bornholm on May 22, 2017, due to inclement weather. She asked the Karlskrona port office whether the ship could make an unplanned stop at the port. 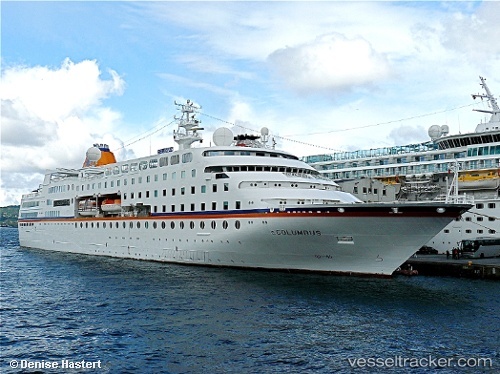 She entereed the port in the morning with 400 passengers and 170 crew members on board. At 1.30 p.m. she continued the voyage to Kiel. The lifeboat "Berlin" medevaced a sick passenger from the "Hamburg" on Aug 15, 2016, off Kiel. The ship was enroute from the Kiel Canal to Stockholm when the medical emergency occurred off Fehmarn. The ship's doctor recommended that the 71 year old man should be disembarked. The 2Hamburg" alerted the DGzRS which dispatched the "Berlin" to the cruise ship which turned around off the island and headed back to Kiel l/h where both ships rendezovused. At 2 p.m. the Patient was transferred onto the "Berlin" in calm seas and delivered to a waiting ambulance in Laboe at 2.30 p.m.